Pure pork salami made with Scottish Pork. 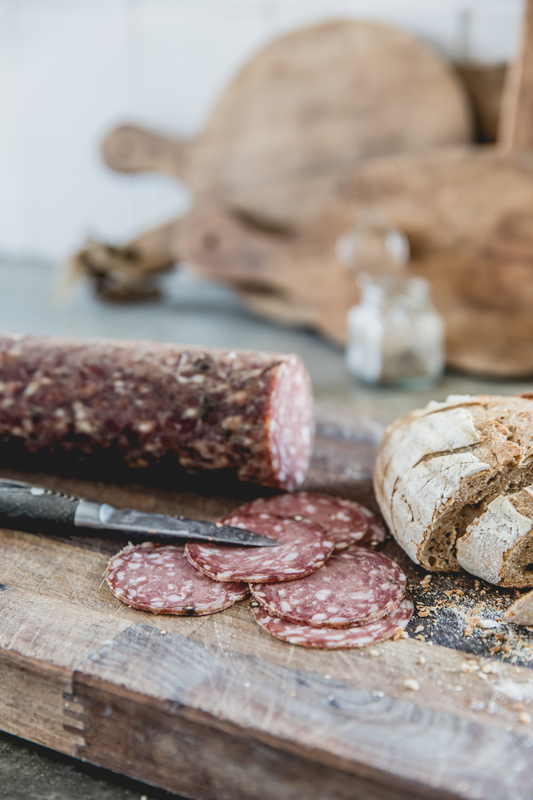 We only use the best cuts of meats resulting in a low fat, very tasty salami. Whole Salami made with Scottish Pork. 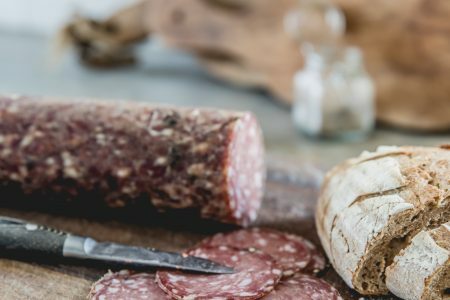 This salami has made it to the finals of the British Cured Meat awards. About 1.3kg it will keep for up to 4 weeks after opening.